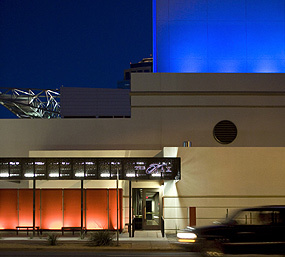 This project was a renovation of a three-venue performing arts theater in downtown Phoenix, Arizona to improve accessibility and way-finding (ADA), expand patron amenities, refurbish interior and exterior finishes, and upgrade buildings and performance systems. 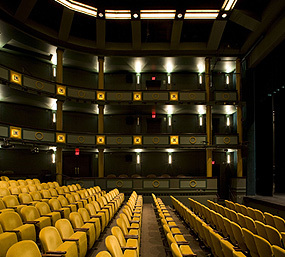 This Center includes the 800-seat Center Stage, 325-seat Stage West, and 110-seat Kax Theater. Our challenge was to organize the project to minimize down time in the Center during high season and maximize funds for the project. 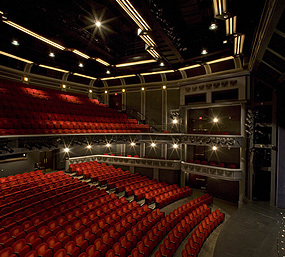 The Herberger Theater Center was originally conceived as a pivotal piece of the redevelopment and revitalization of downtown Phoenix. It was built in1989 to support and foster the growth of performing arts in Phoenix. Rick Pfannenstiel provided project management services during the original construction of the center. Since the Center was originally constructed, the City's code requirements and disability guidelines had changed and new requirements now had to be met. Pfocus reviewed the original scope of the project and recommended an innovative plan to phase construction over two years so that all construction work would be completed off-season. This approach optimized the funding for the project because it eliminated the need to rent alternate facilities for performances. It also minimized inconvenience to the participating resident companies' and their audiences. Pfocus worked with the City to ensure that current code requirements and disability guidelines were met without having to gut the entire building. Pfocus also provided day-to-day project management from the onset of the project through construction. The project had two short windows of time in which to accomplish all the tasks. Phase One, which included all the technical and building upgrades, was completed in just three months. During this time the team was also working on design for Phase Two. 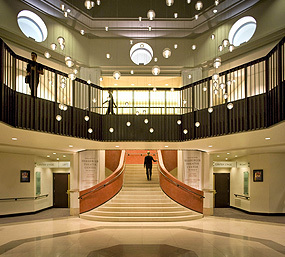 The second phase had everything to do with architectural renovations including the addition of a Donor Room with exterior balcony, refurbishing the audience chambers, lobbies and back-of-house spaces. All of the improvements in Phase Two had to be completed in 130 calendar days. Under the leadership of Pfocus the project came in on time and on budget.